Today's mocha is a bit different than the others I featured in the 12 Days of Mochas series. 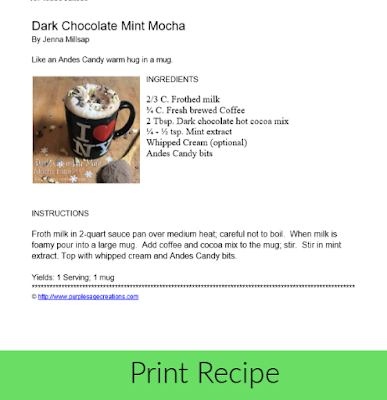 This mocha is made with hot chocolate mix. The coffee mixed with hot cocoa tones down the sweetness. 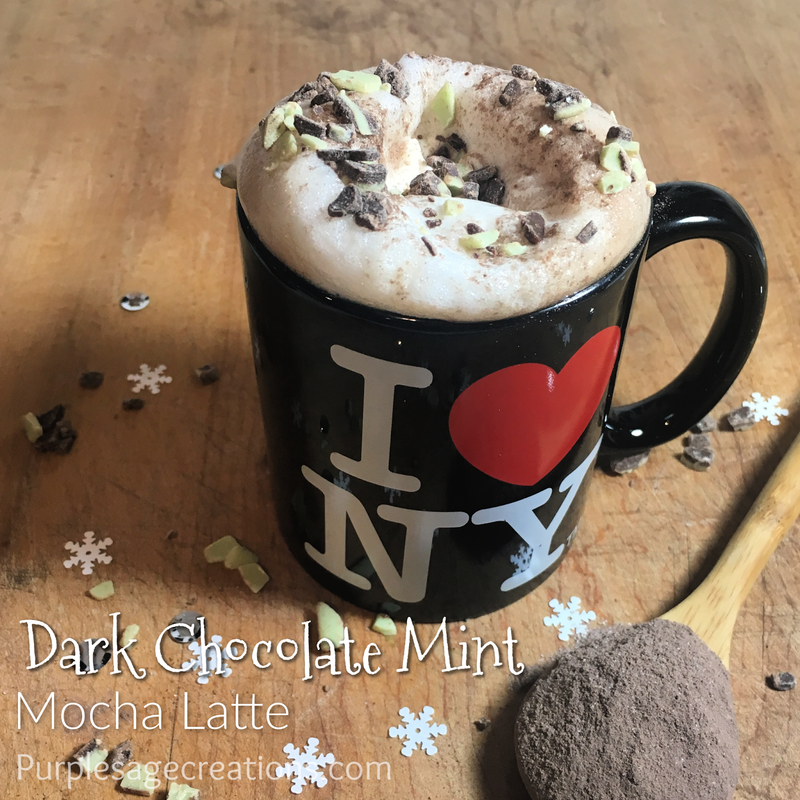 I used dark chocolate hot cocoa, which isn't very sweet in the first place, but creates a nice balance when the mint extract is added. It's like an Andes Candy warm hug in a mug. Froth milk in 2-quart sauce pan over medium heat; careful not to boil. When milk is foamy pour into a large mug. Add coffee and cocoa mix to the mug; stir. Stir in mint extract. Top with whipped cream and Andes Candy bits. The amount of mint you add is up to your personal taste. But be careful because the mint can get overpowering. Start with the smaller 1/4 teaspoon first. Then add a little more at a time until you reach the taste you like. You could use milk chocolate in place of the dark chocolate.